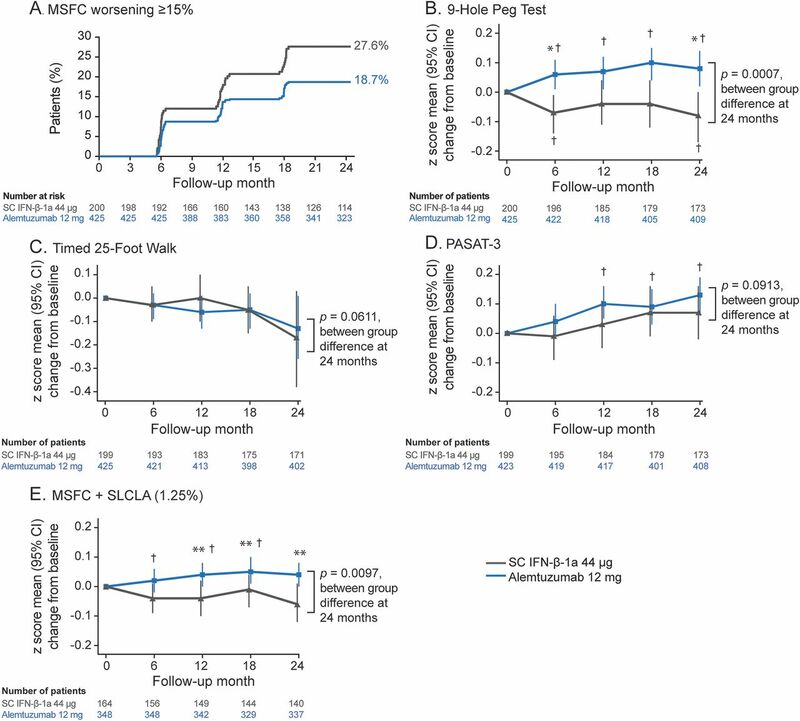 Ozakbas, S, Cagiran, I, Ormeci, B. Correlations between multiple sclerosis functional composite, expanded disability status scale and health-related quality of life during and after treatment of relapses in patients with multiple sclerosis. Background The Multiple Sclerosis Functional Composite (MSFC) is a multidimensional clinical outcome measure that includes quantitative tests of leg function/ambulation (Timed 25-Foot Walk), arm function (9-Hole Peg Test), and cognitive function (Paced Auditory Serial Addition Test). 20/02/2014 · The Multiple Sclerosis Functional Composite Measure (MSFC): an integrated approach to MS clinical outcome assessment. National MS Society Clinical Outcomes Assessment Task Force. 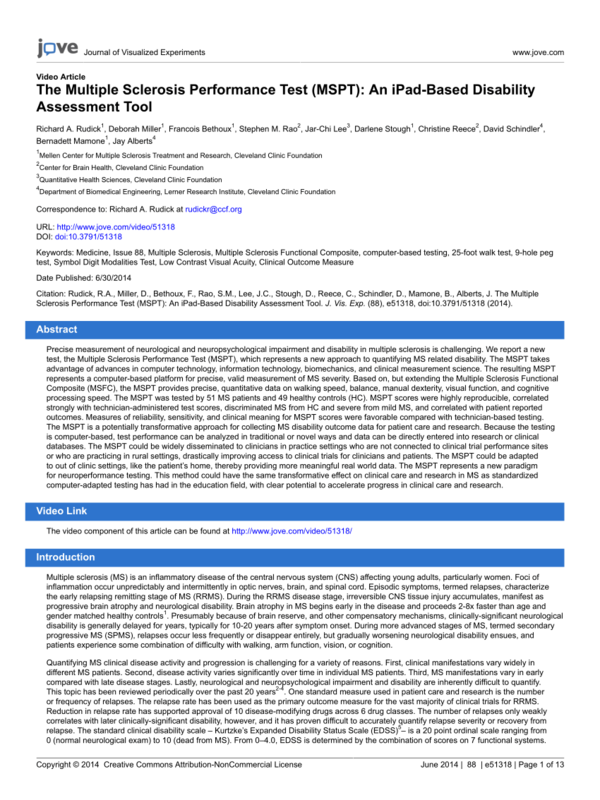 National MS Society Clinical Outcomes Assessment Task Force.